Tenants and landlords. Manage a great relationship. With the start of every lease agreement we come across several tenant, landlord relationship challenges. Across years we found out that the most profitable rental for a landlord is one of which a great relationship is maintained with the tenant. And vise versa. When landlords don’t try to get unreasonable rates their properties are always occupied and rarely left empty. Rather than picking a tenant because he accepted to pay the rate you asked for you will be picking a tenant whom you like to lease to. A wrong lease costs way more than the money you can make on a high rent. Several issues come up and are mostly the result of the landlord believing as he owns the property, the tenant should be the one compromising as he is residing in his house, while the tenant believes that he is paying his money and expects from the landlord all services so that he can enjoy the residence. 1. 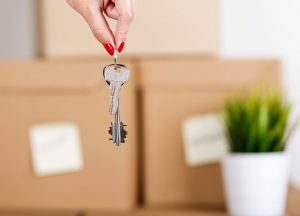 Book a moving service Booking a moving service in advance will give you a peace of mind and let you concentrate on other tasks ahead of you. Some services would even pack your things for you! 2. Transfer your Du/ Etisalat Account Take some time off to head down to your internet provider’s center and put in a request to transfer your account to your new address, or cancel your current account. 3. Disconnect your DEWA account Disconnecting your DEWA account is very important before moving out. If you do not disconnect the account you will continue to receive bills even after you have vacated the property. 4. Get a moving permit from your building Some buildings in Dubai require tenants who are moving in and moving out to get moving permits. 5. Restore the house to its original condition. If you want to make sure you get your deposit back, you need to restore the house to the condition it was in when you first moved in. 6. Get your deposit back After you have handed over the keys and made sure the property has been restored to its original condition, ask your landlord for the deposit.